Merry Christmas from Ghost Blog Writers! It’s the time of year for giving. I’m sure you’re thinking of others today and have probably given a few wonderful gifts to your friends and family. For many, spending time with the ones you love the ultimate Christmas gift, but it’s always fun to everyone, especially the kids, smile with joy when they open up their gifts. But while you’re thinking about others in your life today don’t forget about yourself. Today is a good reminder that you’re in charge of your own destiny for the coming year. You control your own success. People out there will always talk about gloom and doom. Don’t listen to them. There is more opportunity now than ever before in human history. You just need to take advantage of it. So give yourself a gift this year. These are my recommendations for gifts you can give yourself that will pay dividends in the New Year. I’m obviously biased when it comes to blogging, but I truly believe it’s the best thing a business can do for an online marketing strategy. Ads can be a great part of an online strategy, but put an ad and a blog post side by side. Your ad runs only as long as you keep paying. A blog post, once published, is online forever for people to find through search and social. With social media your content might be seen by a few people. Whatever you share quickly vanishes from your feed and the feeds of your followers. And you don’t even own the content you share on social media. When you publish your own content you can use other channels to promote it. You own the content. And you can build your own subscription channel with an email program. 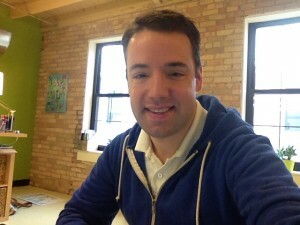 For the last few weeks I’ve been testing the Buffer app for social media. I first found out about Buffer by a story about their blogging strategy. Side note: That’s another good case for having your own business blog. Since using Buffer my own follower stats have increased on Twitter. Traffic to the GBW has increased. It’s been easier to keep the social feeds updated and it’s really easy to use The Snippet Strategy by scheduling tweets with Buffer. Give yourself Buffer for Christmas and you should enjoy more followers, engagement and traffic in 2014. Over the last year I’ve noticed that there is a stigma in the business world. It’s not even just a business stigma. It’s a professional stigma. People are worn out it seems. Even if we’re not working all the time we’re stressed and strained. Our minds are shot. It’s often touted by people that they only sleep five or six hours a night as if it’s something good. It’s not good. Earlier this year I took a few opportunities to work into the night to do work. The result was a huge crash the next day or later in the week. I ended up losing more ground than I gained by working into the night. This year, focus on getting more sleep. Take more personal time for yourself and your family. It’s one of my goals for the New Year. I’ve already started it by making sure I get to bed on time so I wake up feeling fresh and excited about the new day.